As I reported some time ago, I was told the transition would be known as we started having much more energetic storms/hurricanes, EQ's, volcanoes going off in clusters, tsunami and [was] even shown a meteor or comet fragment exploding over the ocean. It appears that the cosmic energies are increasing day by day. I know I can feel them as well as see how they are affecting society. It is getting pretty crazy out there. It seems everyone is on a hair trigger at all times. All I can say is, you haven't seen anything yet. 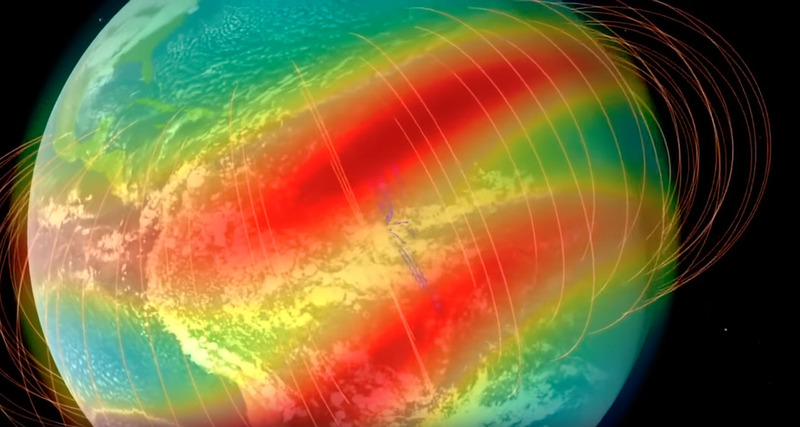 It looks like science is detecting an increase in cosmic rays as well. This will contribute to EQ's, vulcanism and highly energetic storms well into the future. It is just a part of the Earths, and our, 4th Density shift. From what I hear every shift is a little rough but not something to focus on. Now more than ever we need to focus inwardly on our trauma's and karma. This is the time of the great revealing... Nothing will remain hidden.